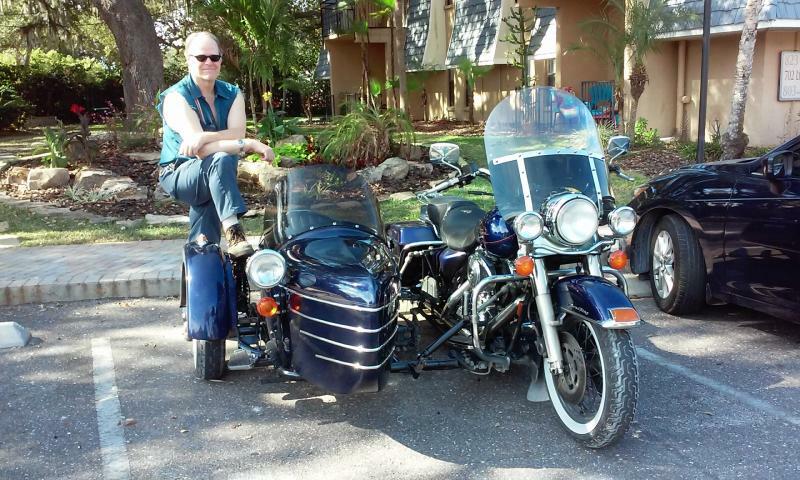 SidecarMark Welcomes you to Sunny and Warm, New Port Richey, Florida, Sidecar U.S.A. 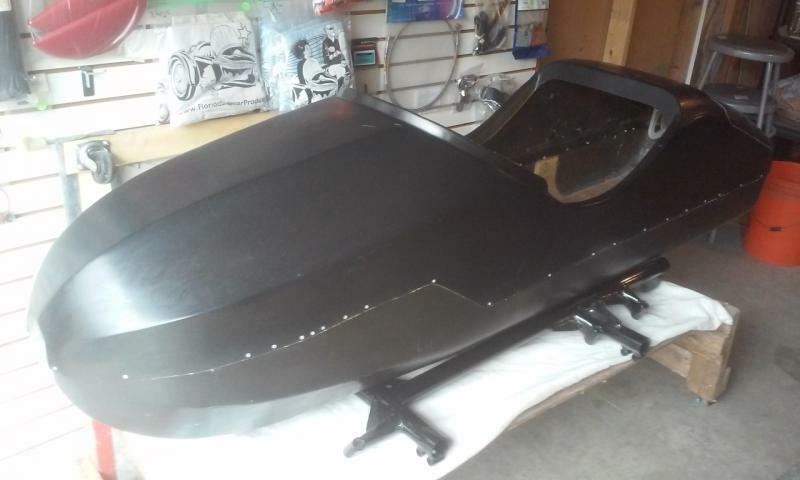 This is the new Demon GT Sidecar I am working on building right now. Still need to make the swing arm and other suspension parts. It has lots of leg room and a trunk lid in the back. I went to the California Sidecar factory in Virginia on Dec-13-2018 and purchased a large truck load of New Old Stock OEM parts. See new parts on our California Sidecar parts pages. On the left of the picture is the California Trike show room. You can see a new yellow, Honda GL Trike and Harley Trike. A great place to stop by and see all the beautiful new Trikes. 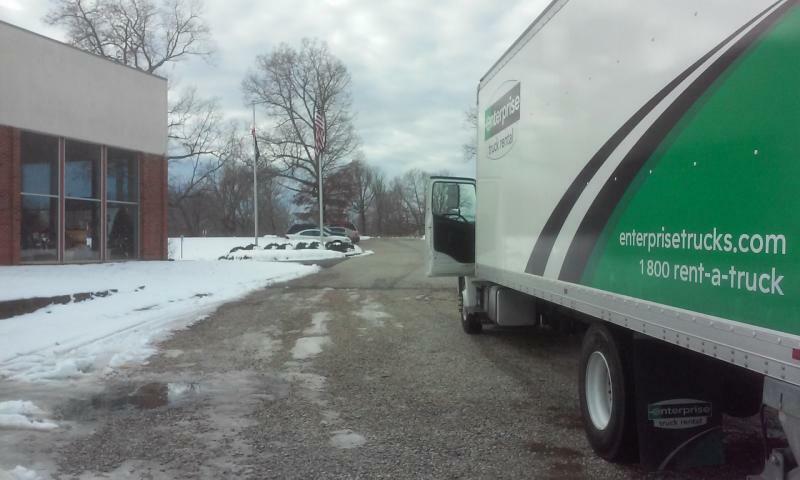 On the right is the 26' box truck we filled full with new old stock OEM California Sidecar parts!!! 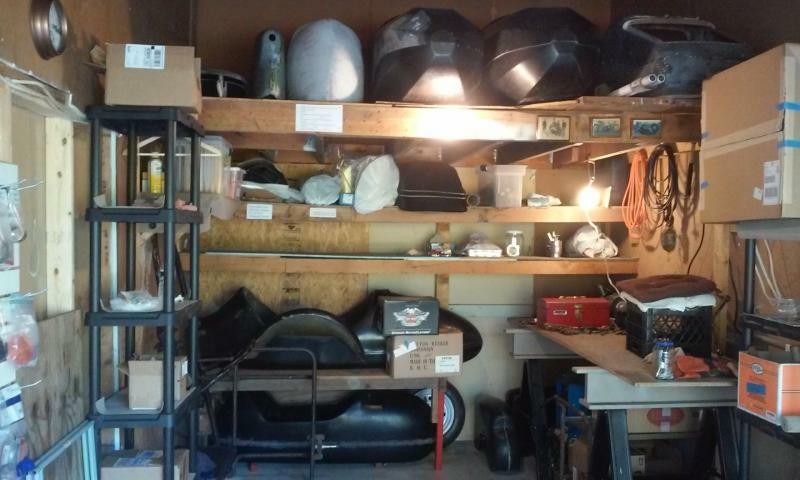 Our sidecar shop is located at: 9038 S.R. 52 Hudson, FL. By the corner of Little Rd and S.R. 52 right next to Checkers on the east side of the building. Call me if you want to stop by. Hours are by appointment. See the map on our Contact us page. 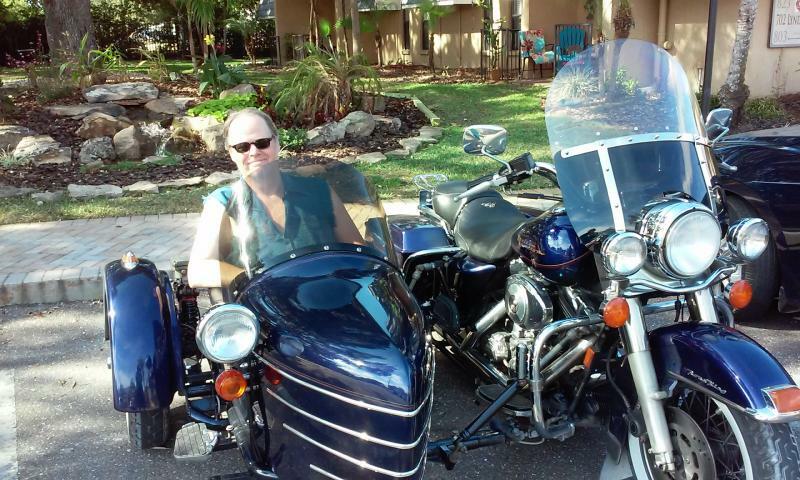 The above two pictures were taken of me, SidecarMark with my Champion Legend Sidecar and Harley RoadKing on Thanksgiving day 2016 at a friends place in Dunedin Florida. The weather was great! New sidecar hats in stock now on our T-shirt and Hats page. 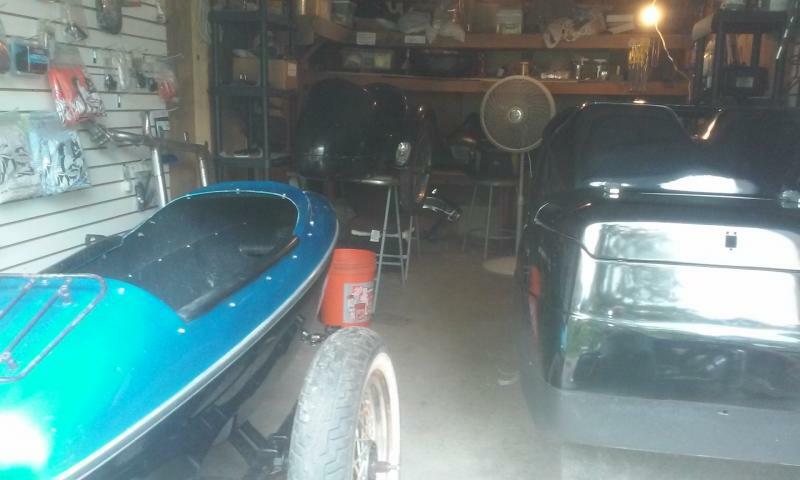 California Sidecar Friendship II SE Goldwing 1500 Frame New Old Stock OEM﻿ $935. New old stock CSC Friendship III frame.$1155. 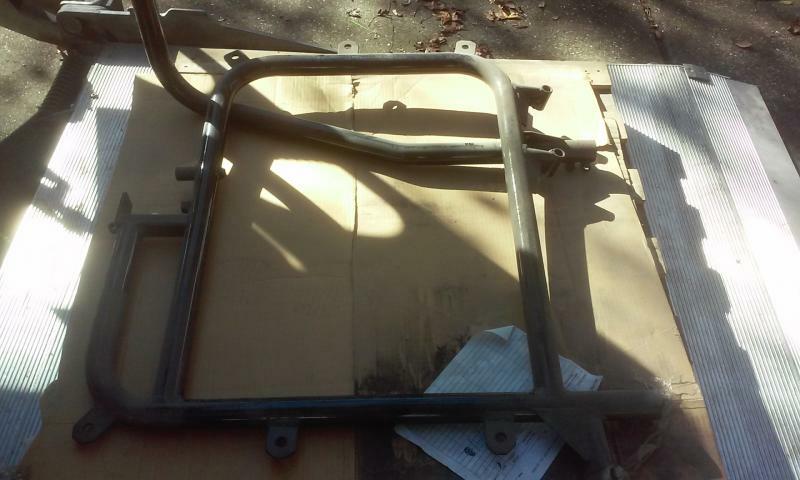 California Sidecar Companion GT Frame New Old Stock OEM﻿. $935. I do not have swingarms for any of these CSC frames, sorry. 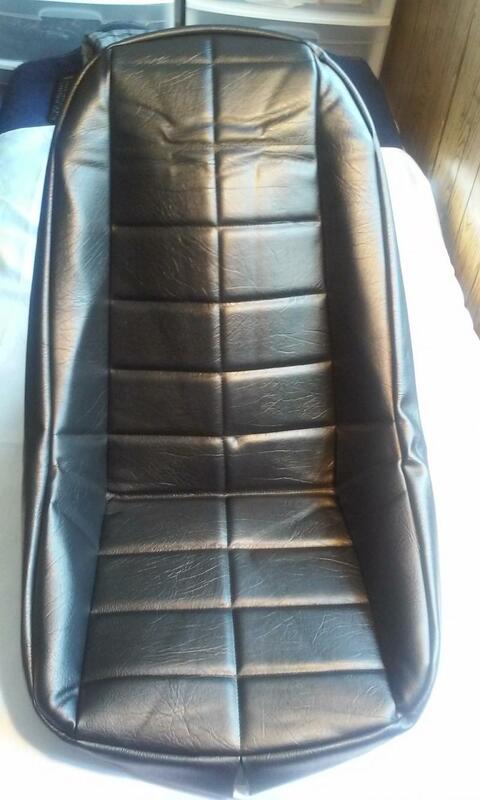 Inder Sidecar rim, seat armrests, shock, bumper and more on our Inder page. 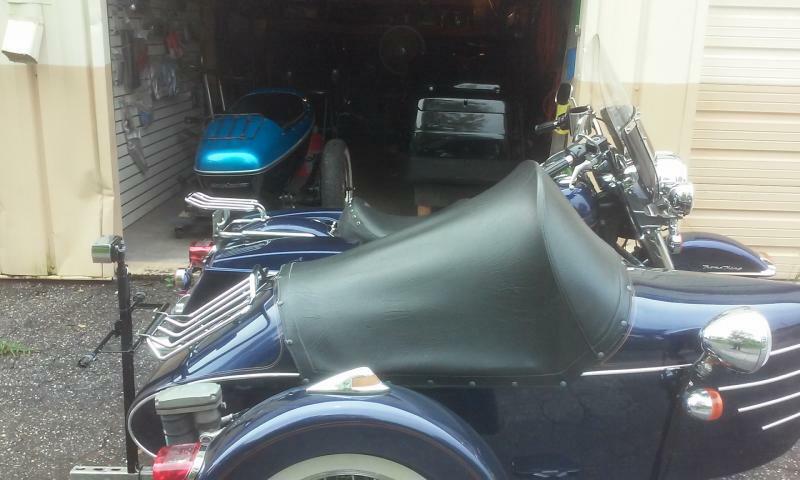 Used California Sidecar Friendship I Convertible Top on our California Sidecar parts page. California Sidecar 1989-2010 Owners Manual on our Sidecar Manuals page. How To Set-Up & Operate A Motorcycle Sidecar Outfit, Manual. On our Sidecar Manuals page. Here is a review of a few motorcycle sidecar movies I can recommend. For their honeymoon Bridget & Sidney take 33 days to ride a dirt bike with a 562 Velorex sidecar over dirt roads from California to the Mississippi river. A great travel movie with lots of country side beauty!!! I purchased this movie when I was thinking about buying a Velorex. You must take this movie with a dose of salt, because they beat the hell out of the sidecar going down dirt roads and broke it a lot. I never had that kind of bad luck with my 562 Velorex sidecar. A movie that URAL America made to show the history of the URAL motorcycle and sidecar and how it is made over in Russia. I got this movie after taking a test drive at a Ural dealer in about 1999. I called the Ural American factory out west and they sent me this movie, I have never seen it for sale any place. It is a very interesting movie!!! Griffith Park Sidecar Rally- by Molly Reeves. Shows all the motorcycle sidecar outfits at the rally out in California. It was made by a High School girl for a class project, and has no narration, some times you can hear people talking in the back ground but it is hard to tell what their saying and most of the movie is filmed from the motorcycle side so you do not get a real good look at the sidecar, but if you want to see a lot of unique sidecars check out this movie. I purchased mine on e-Bay from the film makers Dad, and you can still find it there occasionally . In 1995 Carla talks the Ural Motorcycle Sidecar Importer in Washington state into loaning her a new Russian sidecar outfit to travel around the United States borders, zig zaging constantly crossing the border with Canada and Mexico , more so with Canada. And in return she helps Ural to find the problems that need improving on the Ural which are many. Like three new gas tanks that start leaking in the same spot and more serious break downs than I can count, out in the middle of nowhere with many parts falling off as she is riding down the road. And getting help from farmers and a few nasty, sleazy tow truck drivers and meeting a ton of good Samaritans. A lot of the book is about her previous personal relationships with boyfriends and talking about family and friends from her youth growing up in North Carolina and California but the tails of her serious mechanical problems and the interesting characters that she meets while broke down make this a good motorcycle sidecar book to read. But for any one considering purchasing a new URAL you may not want to read about the quality of this bike in 1995 because its reliability has been much improved now. In 1927 Two Americans set off to be the first men to ride across Africa on motorcycle sidecars. At that time, no one had driven any kind of vehicle across Africa. Each man rides a Triumph 5HP 3 speed motorcycle with sidecar loaded with spare parts, cans of gas, food and water. With almost no roads they ride, push their way from military outpost to military outpost. Through unending sand dunes, dry river beds, and brush with sand spurs so sharp they put dozens of punctures in the tire intertubes so they had to line the inside of the tires with thick leather to stop the sand spur holes. They suffer the heat, sun, and more break downs than I could count, like having to make a piston wrist pin, fix broken spokes, swing arms, wheels, sidecar springs, etc. They lose a very small but important ignition part in the sand and have to go back over the last quarter mile and sift through the sand to find it. They make a forge out of a can and make a soldering iron in the middle of nowhere to fix a leaking gas can with the can still full of gas by using a hot sodering iron. How they managed not to blow themselves up I have no idea. They get in more jams, meet more characters, and have more parties thrown for them! We get a good background history of Africa and the Tribes they meet as well as the military men in the outposts. In my opinion, the worst part is the many four foot wide mud puddles they had to drink out of with dead animals, bugs, and slime floating in them by boiling the mud slime water and yet they still vomited from the stench and taste. It’s a good book, if you want to read about how Africa was in 1927-1928 and the kind of Sidecar outfits they had way back then. 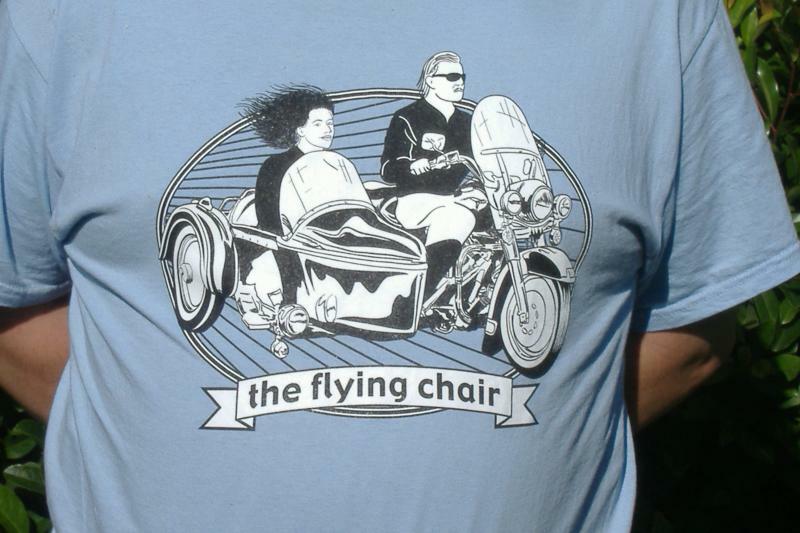 Look great in "the flying chair" sidecar t-shirt, and tell the world who you are on the inside! 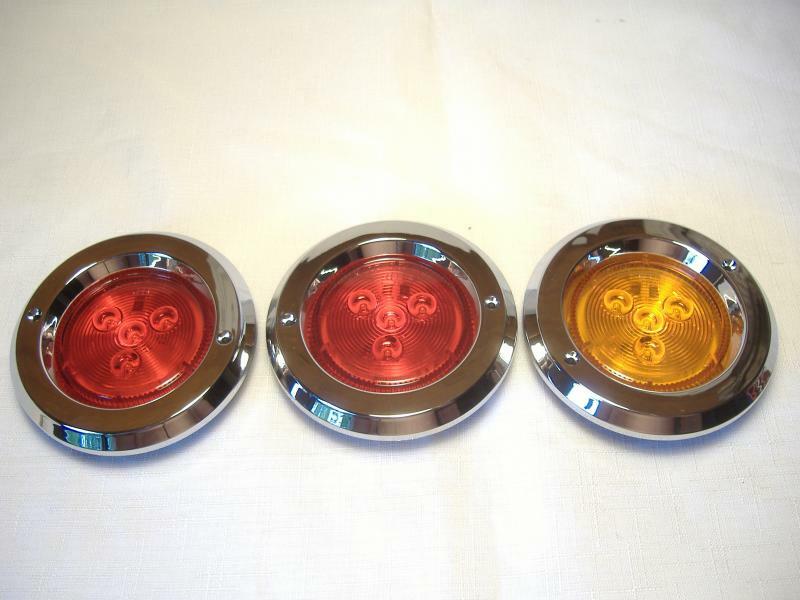 See Our Sidecar Accessories page for auxiliary sidecar lighting. 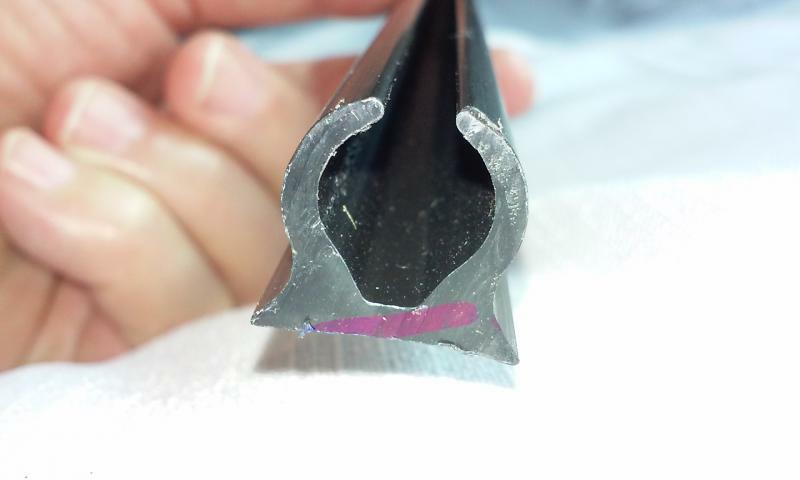 Our intent is to produce the best quality sidecar products available. Currently we have T-shirts available in different sizes and colors (sizes Large and XL in Orange, Tan & Light Blue). We will be adding items to our product line to enhance the sidecar lifestyle! We welcome suggestions and comments on our guestbook page. 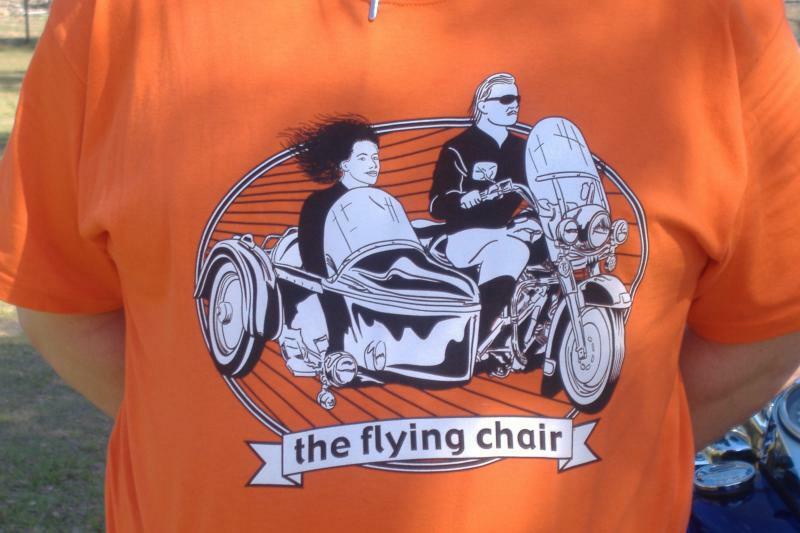 Orange, Tan & Light Blue Motorcycle Sidecar t-shirts. Carpet kits in stock for California Sidecar Friendship III pictured below and Friendship II SE and Companion GT. 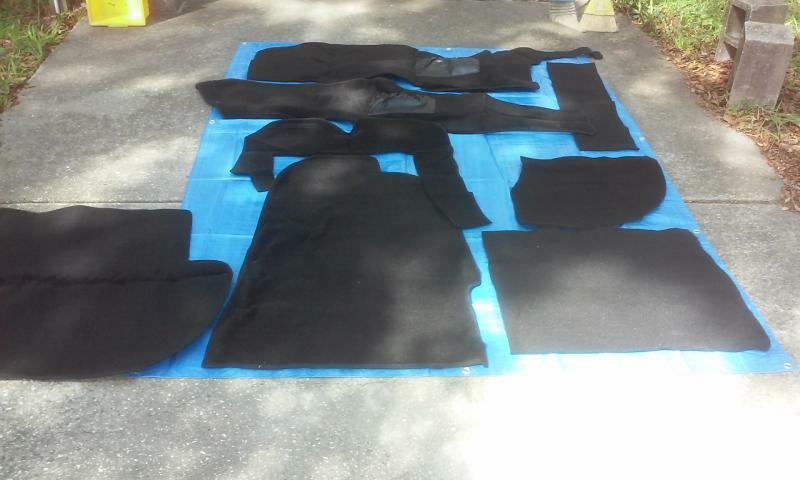 See them on our "California Sidecar Carpet Kits NOS" page. Footrest for FS III, FS II SE and Companion GT in stock. Gas springs for hatch lid on Friendship III and Friendship II SE. 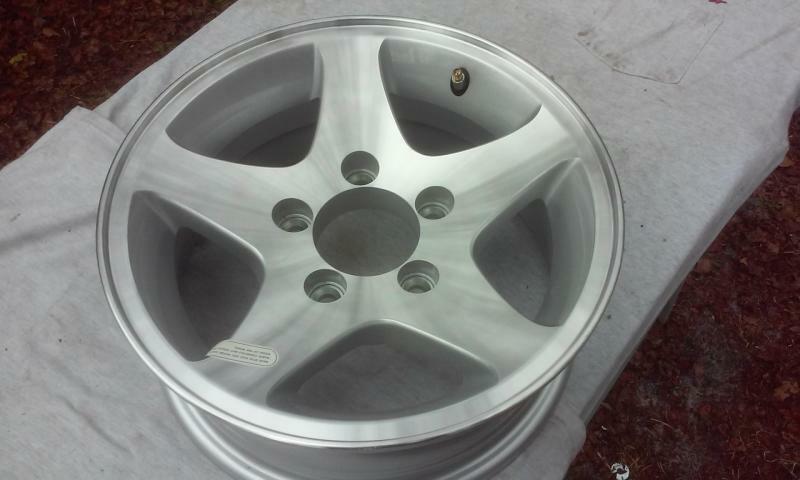 5 lug mag wheel for FS III, FS II SE and Companion GT. 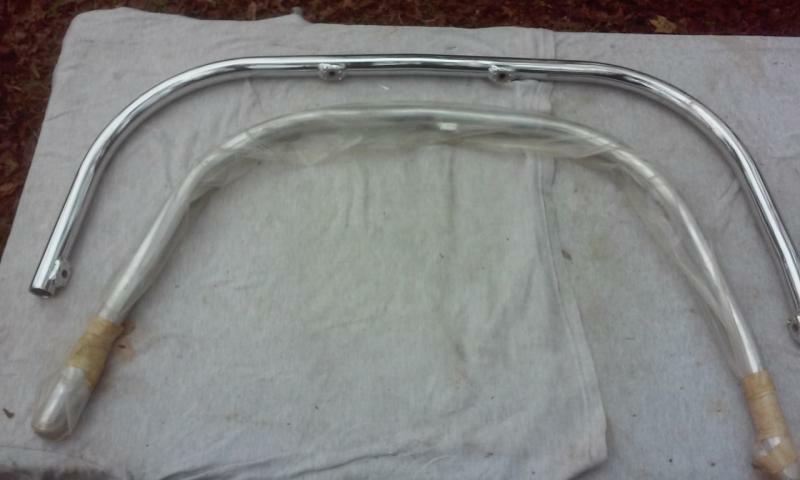 Bumper Chrome. This set is for the FS II SE. 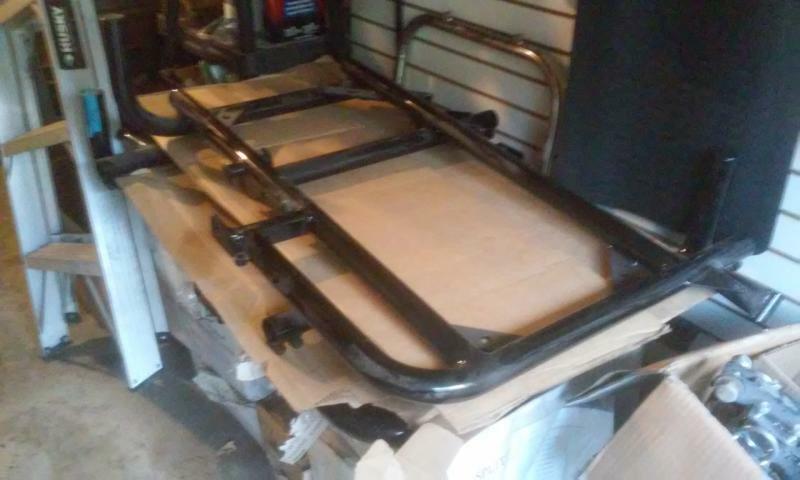 I also have FS III front bumpers. 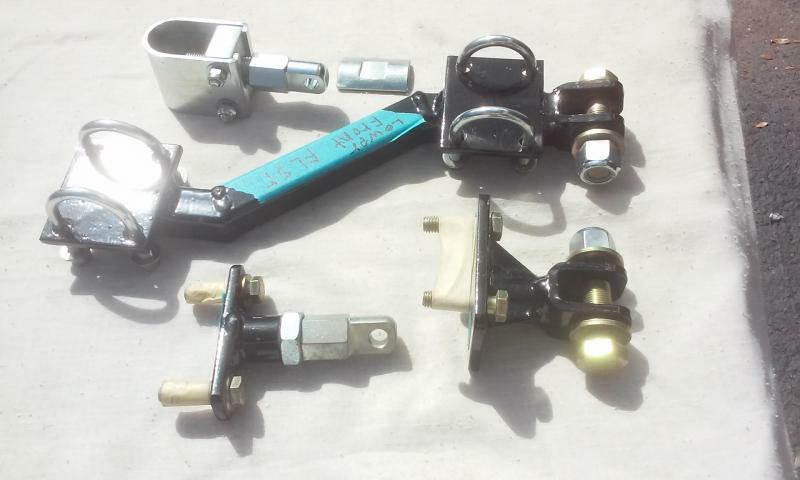 Many new CSC sidecar mounting kits on our "California Sidecar Mounts" Page. 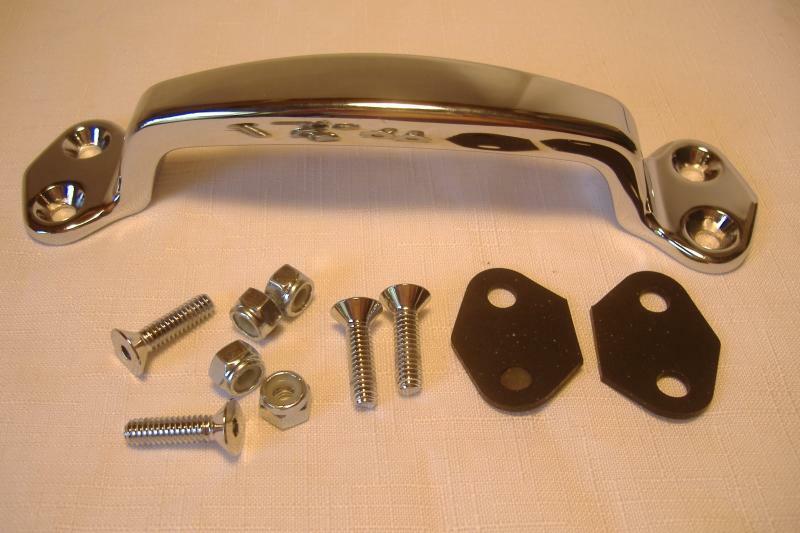 Below is a Harley FLST Softail sidecar mounting kit. 1-1/4" CSC U-clamp motorcycle sidecar mount. Steering damper fork clamp 2-1/2"
CSC Friendship II SE hatch hinge. Taillight for CSC Friendship II SE. New P32F brake caliper for all late model California Sidecars. FS III, FS II SE, Companion GT. CSC Friendship III rubber body mount. Step for all CSC Friendship models. Slip tube mounts for all California Sidecars and Champion Sidecars and most American made sidecars. Many more parts coming soon! 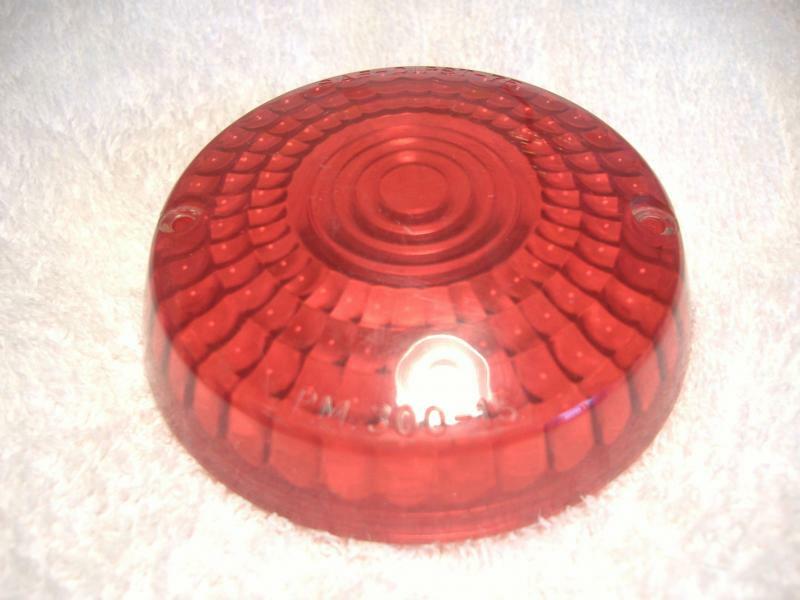 Used California Sidecar Taillight lenses in Stock on our California Sidecar Parts page. 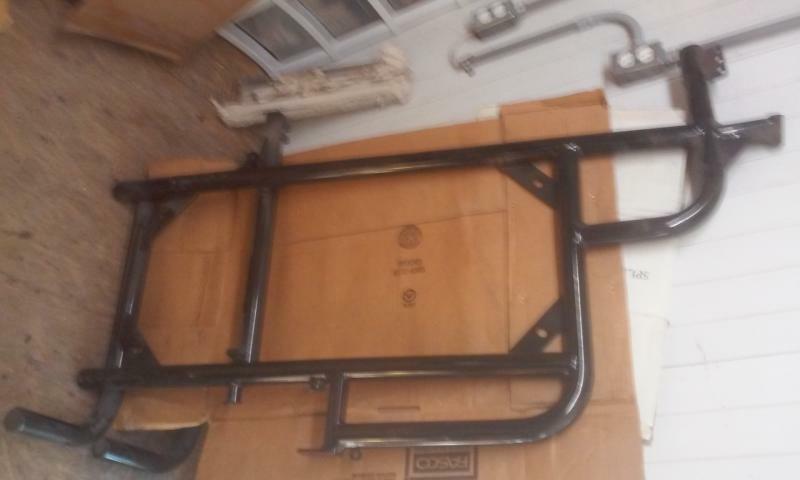 Track for mounting CSC FS III convertible top on windshield frame in stock. 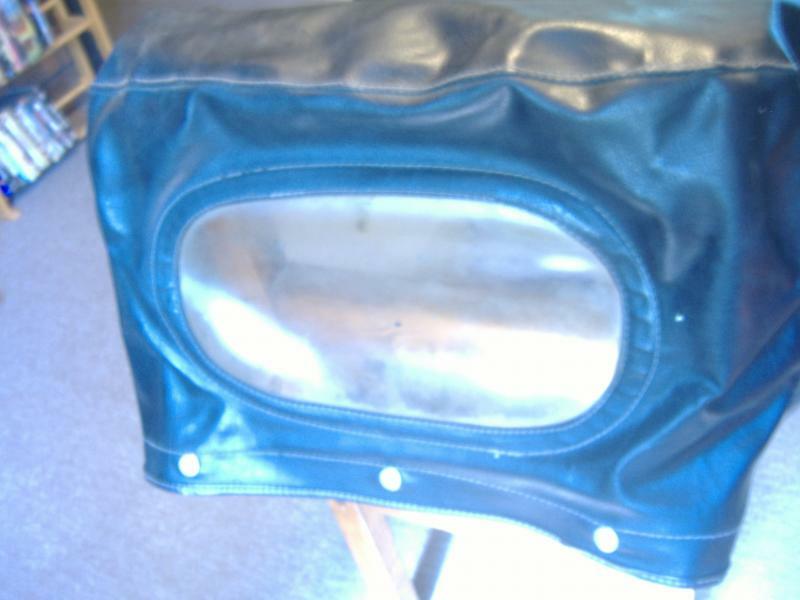 New sidecar bucket seat cover and seat shell for our sidecar bodies on our D.I.Y. Bodies page. 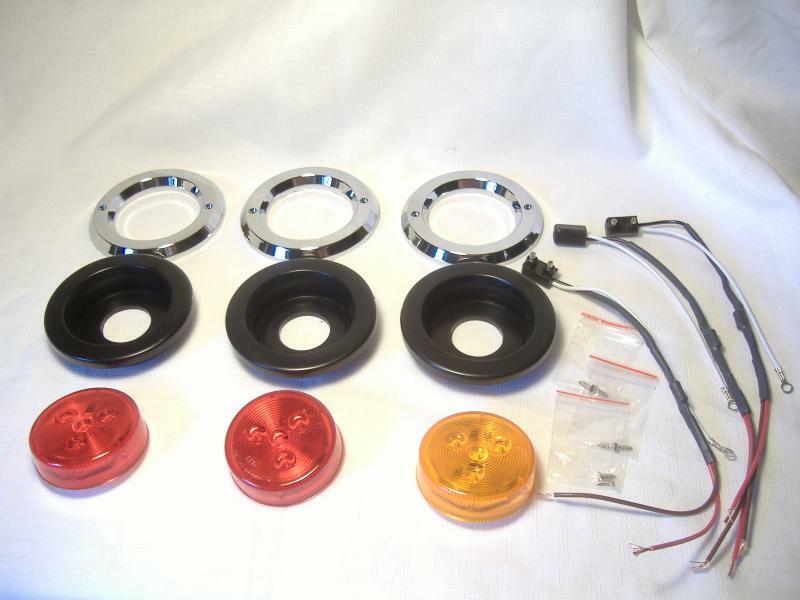 LED California Sidecar FS I & FS II Taillight Upgrade Kit on our California Sidecar Parts page. 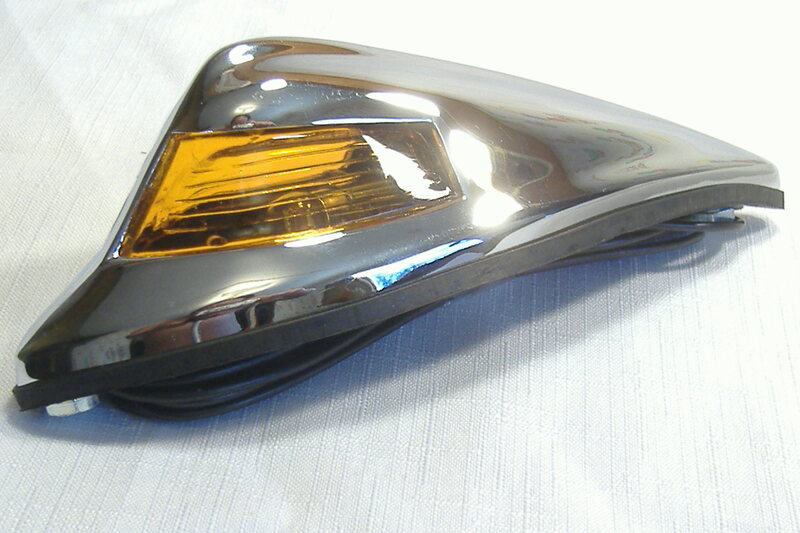 New sidecar turn signal kit on our sidecar accessories page. 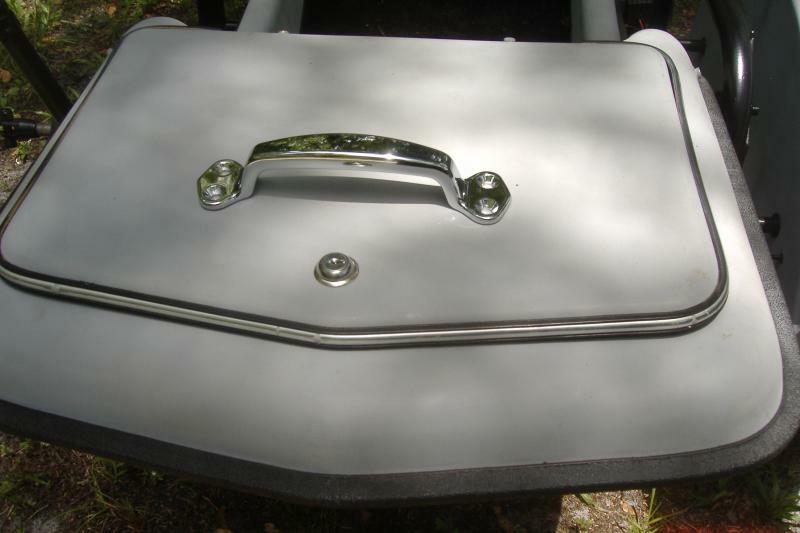 New sidecar taillights on our Sidecar Taillight Page. 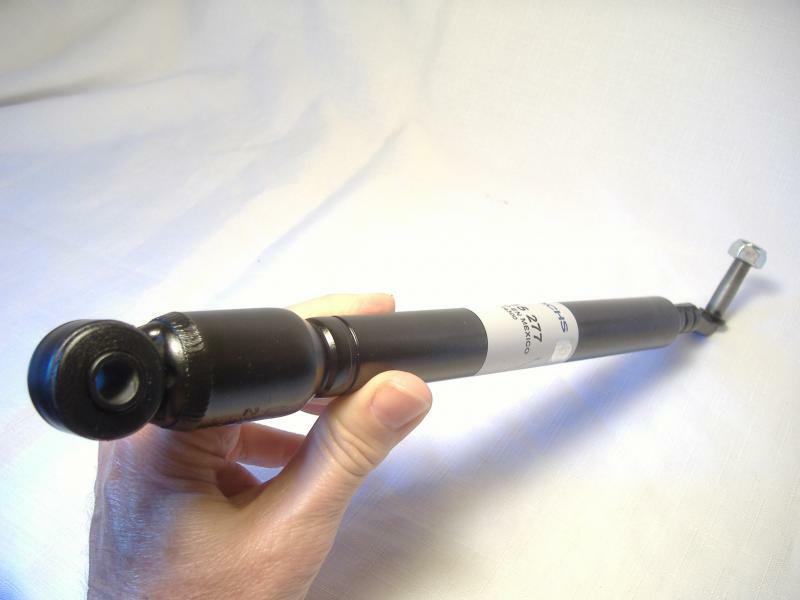 California Sidecar Torsion Arm Bearing Kit on our CSC Parts Page. Motorcycle Sidecar Air Vent Kit Floor Mount on our ﻿Sidecar Parts Page﻿. 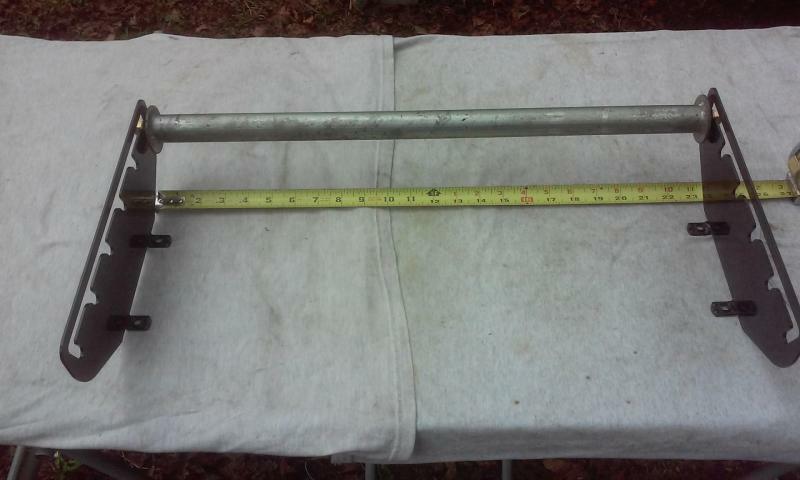 Sidecar Dog Restraint Anchor On Our Sidecar Parts Page. 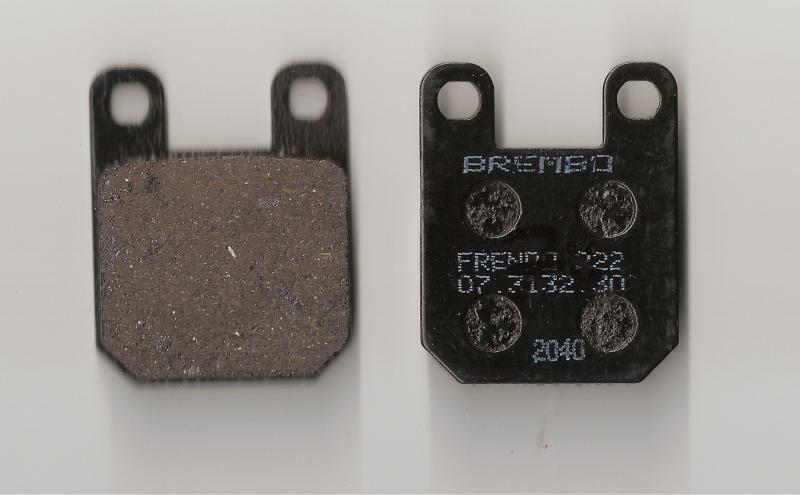 California Sidecar Brake pads In Stock. Old Style Two Pin On Our Sidecar Parts Page. 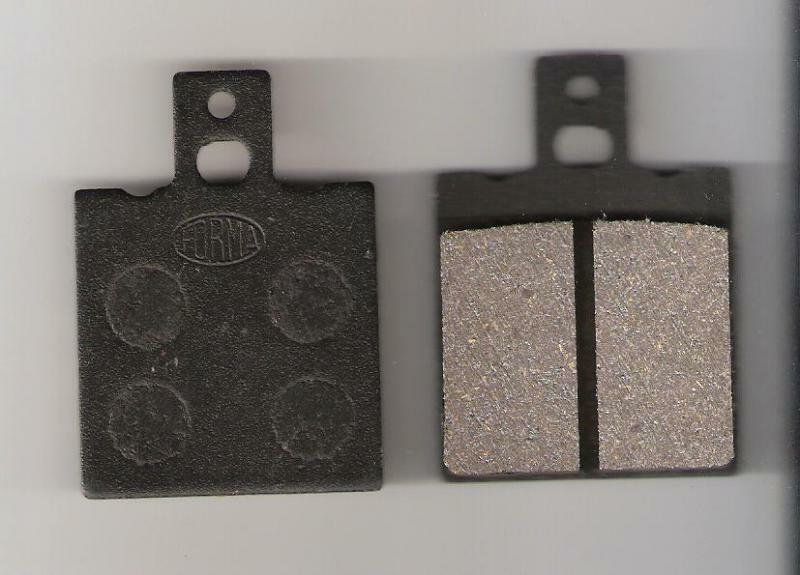 Champion Sidecar brake Pads In Stock Also. Sidecar fender marker lights . Sidecar Fender Lights. See our accessories page. Bumper Sticker: My other car is a Sidecar. 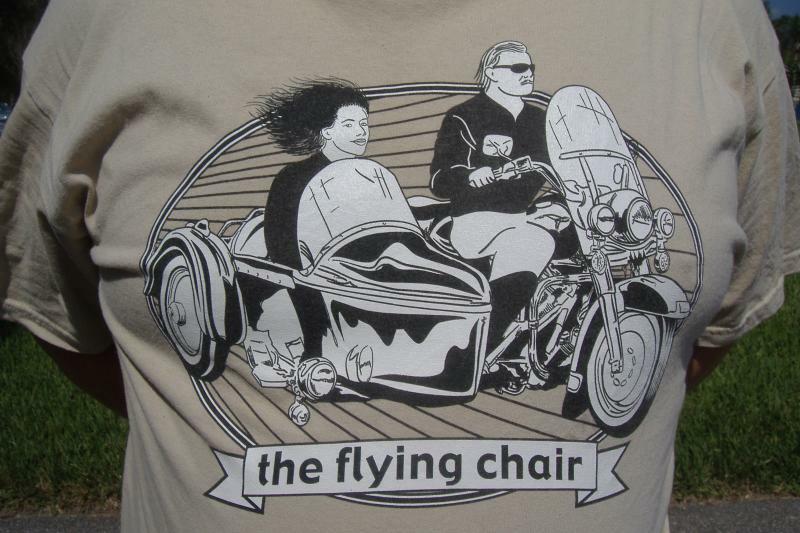 With a picture of a sidecar on it. $2.95 each with Free shipping!!! Check out the Motorcycle Sidecar pictures on the Travel Pictures page and Sidecar picture page. We welcome your ideas for sidecar products that you would like to see available here!